Chrome OS tested on Samsung’s Exynos 5250 ARM chip: could Chrome join the mobile OS wars? 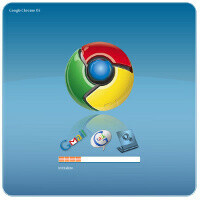 Google’s Chrome operating system is being tested on Samsung’s Exynos 5250 ARM chip. Possibly, on a new device called “Daisy.” Why is this interesting? So far, there are only two Chrome OS-flavored notebooks and both are running on Intel Atom chips. Add to this with the fact that Samsung has previously explicitly mentioned that its Exynos 5250 chip aims to end up first on high-end tablets, and only later on smartphones, so you have an interesting combination. Could Google introduce another rival to its own Android operating system? This wouldn’t make much sense, but that’s exactly the suggestion you’d arrive at logically. Mass production of the Samsung Exynos 5250 chip is scheduled for the second quarter of 2012. The silicon relies on ARM Cortex-A15-based architecture with two processing cores clocked at 2GHz. Samsung is using 32nm manufacturing technology for this latest chip. It also would feature four GPU cores. All of this seems more than enough to power Google’s cloud-based Chrome platform. Additionally, the open-source Chromium project drops a reference to “tegra2_kaen” suggesting that Samsung’s chips are not the only ones being tested. I agree darac. They are not going to compete with themselves, they are going to merge. They have been slowly working towards that. Its their answer to WP8 basically.. adding in the last bits of missing PC (lite) functionality. Both OS's are already synced heavily into the cloud and both feature many of the same apps.. its highly likely to me that we will see these guys merging in "5.0".... I still think "jellybean" is just 4.1, btw. They are not going to do a major overhaul to ICS so quickly, just add features n tweak. Yeah, the most logical conclusion in my mind is a gradual merger between Chrome OS and Android. My guess is that Chrome OS is being tested to be Google's tablet/PC solution, while Android will remain the mobile solution for the near term. Android will probably be transformed over the next two years into a baby Chrome OS, kinda like WP8 with Windows 8. The goal for any of these OS companies is to provide compatibility between all market segments (phone, tablet, computer) to encourage consumers to buy products in all market segments. Chrome OS is the Joke of the Century. in what respect? i thought if windows 7 is proffered by more than 90% customers. please give me some more info. you are confusing windows phone with windows . take a bath,. Dont be silly u billy... this article is refering to mobile os... 5250 exynos is not pc... its for tabs. U need a shower... not me..
that does not change the name of windows phone to windows. don't speak illogically. For your information, Chrome OS is basically for laptops. Not for mobile phones. "what respect?" ahahaha seriously, go back to school man..
here the sleeping comes again. Why are you taking it so seriously? you must be someone trying to pass up you TOEFL etc. by the way, learn the meaning of this phrase from your teacher tomorrow, or search it over the internet: "in what respect" is windows better than chrome os? "in what respect" is that thing better than this. etc, then take a bath. There's only 2 OSs regular humans use. Since you hate Windows, I'll assume you use a Mac...which doesn't do you any justice if you ask me. I guess he was talking about windows for mobile. To be fair, Mac OS is a lot cheaper than Windows, usually OS upgrades are about $30 instead of $100-200. However, hardware is a different story. Though technically if you knew what you were doing, you could take standard PC components and setup your own Mac PC, but its certainly a lot more work than to just use whatever parts you want and pop in a windows disc. because he's dumb. he cant differentiate windows from windows phone like you who don't even know the real name of this mobile platform which is windows phone. take a coll bath again. and don't catch my spell mistake again. Seriously, do yourself a favor in order not to look like a stupid dumbass here, go back to school and learn how to write proper english. Dude, I don't give a sh*t about windows phone. They're both called windows and developed by MS. "coll" bath? Is this a type of bath to save water in your third world country? I wouldn't worry too much about these two drahmad. You can't convince somebody to be more open-minded or objective if they aren't at least a little open-minded and objective to begin with. WP7 is a somewhat closed OS as suggested by hepresearch (the only individual that provided any worthwhile arguments in this thread) earlier. However, that cost of ownership is mitigated by the fact that it is reliable, functional, and easy to use. For those who would argue that the functionality of the OS is limited, please do give examples. Don't keep giving us the same BS story that it is a closed OS and your favorite OS is superior in every way without providing even an ounce of reasoning to support your contentions. Or, don't provide arguments. Don't provide examples. Don't provide reasoning. Don't do any of this, and let it be known that you are exactly what you seem: a fanboy of another OS that has no intention of being reasonable. Are you blind or something? The only fanboy biased toward an os here is drahmad. He was the one who started trolling! Have you even read the thread? Can you quote any of my comment here telling that my fav os is superior? Nice try though! To me, it's you who sound like a fanboy.